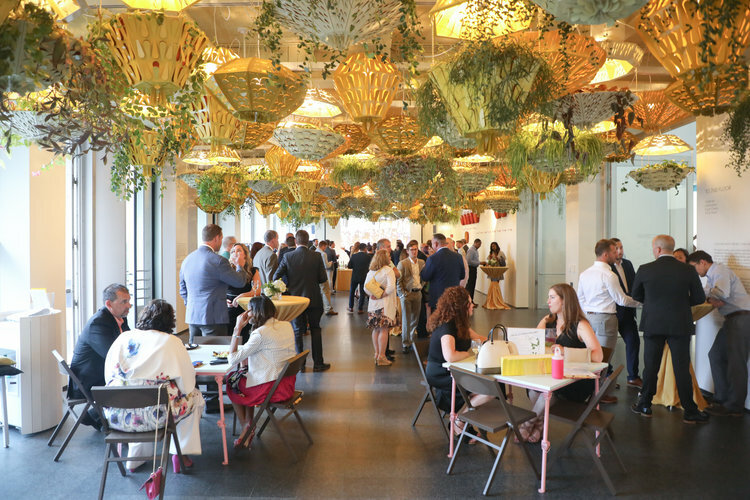 Skender Foundation hosted its annual fundraiser, Summer Eclipse, on Thursday, July 19 at the Museum of Contemporary Art Chicago. A total of $380,000 was raised in one night by sponsors and more than 500 event attendees. Of that, $30,000 will be donated to The Bridge Teen Center while the balance will be dispersed to other charities dedicated to education and wellness throughout the year. In 2017, Summer Eclipse donations went to more than 100 different charity organizations. Located in Orland Park since 2010, The Bridge Teen Center has served over 5,900 different teens and families from 128 Chicago Southland and Northwest Indiana communities. The organization’s mission is to provide free programs for students in 7th to 12th grade during after school and unsupervised hours. “Skender Foundation was built on providing opportunities, tools and resources to those in need to make better life choices. We chose to highlight The Bridge Teen Center based on our aligned missions to provide a safe place where students can find hope, purpose and direction in their lives,” Skender Foundation Associate Executive Director Belinda Moore said regarding the motivation behind Summer Eclipse. Since its 2012 inception, Skender Foundation has raised over $2,300,000 for more than 200 charitable organizations. To learn more about The Bridge Teen Center, visit http://thebridgeteencenter.org/.